Dwarf cichlids are a group of smaller fish from the family Cichlidae that are mostly found in the waters of South America and West Africa. This group consists primarily of the Apistogramma species and Ram cichlids. Other species that fall into this group include the extremely popular Pelvicachromis pulcher and the popular shell dwelling cichlids from Lake Tanganyika. Dwarf cichlids are typically no more than 3" in length and generally shy (accept when breeding). Many of them will mix well with other dwarf cichlids and other community fish. However, they should not be kept with other larger cichlids or the more aggressive Mbuna from Lake Malawi. A home aquarium for dwarf cichlids should have plenty of plants, rocks and caves for the fish to seek protection and claim territories. When people talk about ram cichlids they are often thinking about one specific fish, the German Blue Ram, simply because it is the most popular of this group of dwarf cichlids. 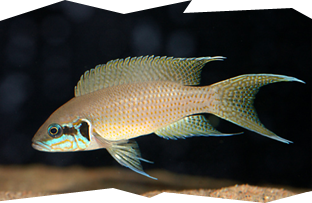 Today, there are many different color strains of Mikrogeophagus ramirezi available in the hobby. The other popular fish in this group is the Bolivian Ram cichlid. 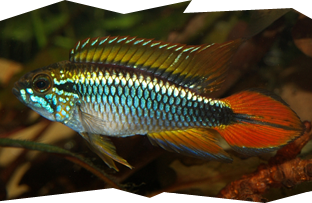 Some of the smallest cichlids found in the hobby are from the genus Apistogramma. Some of these tiny fish grow to be no more than one or two inches in length. Though they are small in size, they have been known to display bright colors. 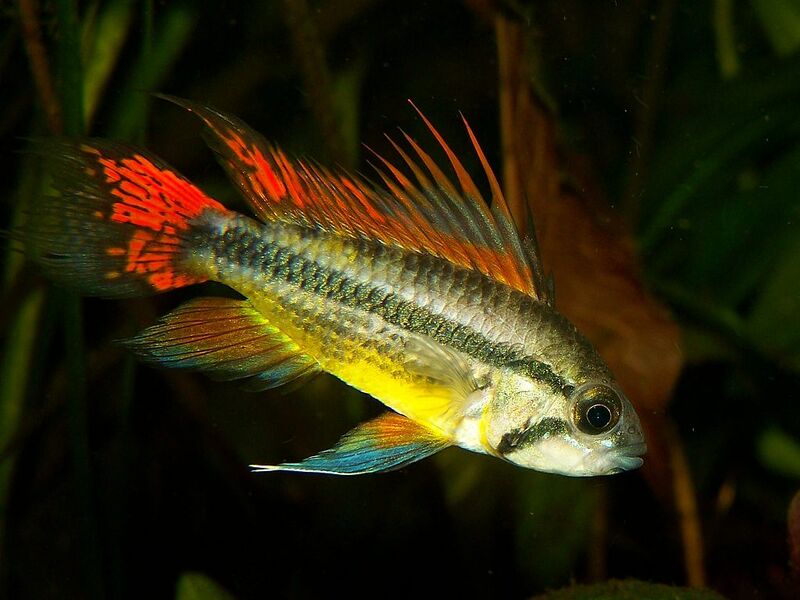 The most popular of this group are the Apistogramma cacatuoides, the Apistogramma borellii, and the Apistogramma agassizii. This group of dwarf cichlids primarily consists of the genus Pelvicachromis and the genus Nanochromis. 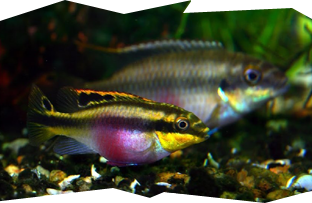 The most popular by far is the Pelvicachromis pulcher or more commonly known as the Kribensis. These fish will mix with other dwarf cichlids and community fish. 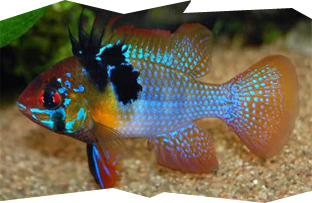 The Kribensis is often the choice those who are new to keeping dwarf cichlids. Shell dweller is a name given to the small cichlids of the genus lamprologine from Lake Tanganyika in Africa. These dwarf cichlids use empty shells of aquatic snails for protection and breeding. These small fish are very popular with home aquarium owners. Some of the most popular species are the Neolamprologus multifasciatus, the Neolamprologus brichardi and the Neolamprologus leleupi.